Photography: Captured by Joules. 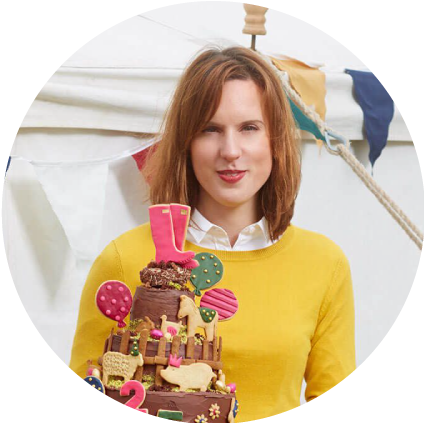 These images were not created by Frances Quinn, who has provided words only. 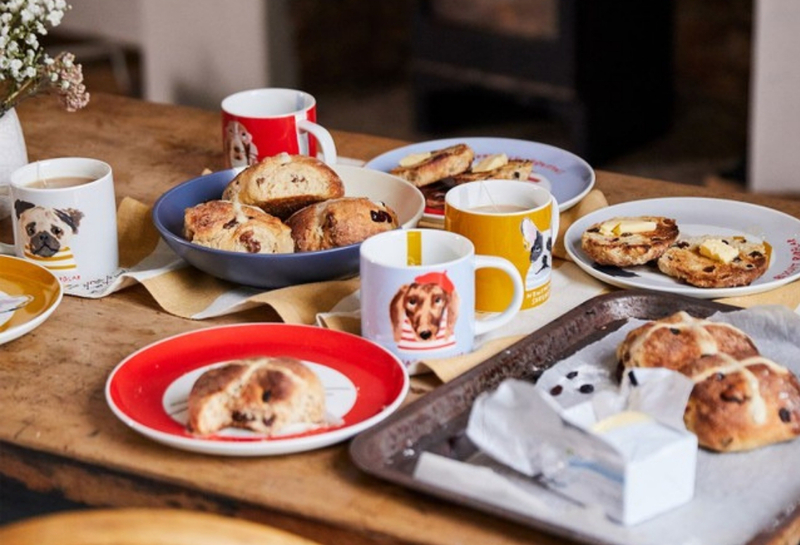 There’s something so comforting about the taste, smell and texture of hot cross buns, especially when enjoyed with a much loved brew. 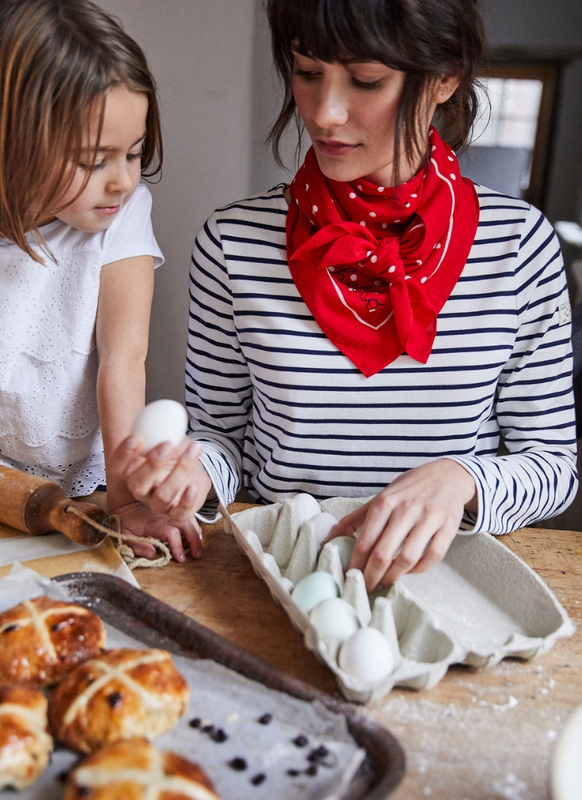 We teamed up with Great British Bake-Off winner (and our former baby and toddler clothing designer), Frances Quinn, to bring you the Quinntessential hot cross bun recipe, plus two innovative twists – the hot toddy and hot chocolate inspired hot cross bun. Is your mouth watering yet? Hot cross buns would have to be up there with cinnamon buns, as one of my favourite bakes. 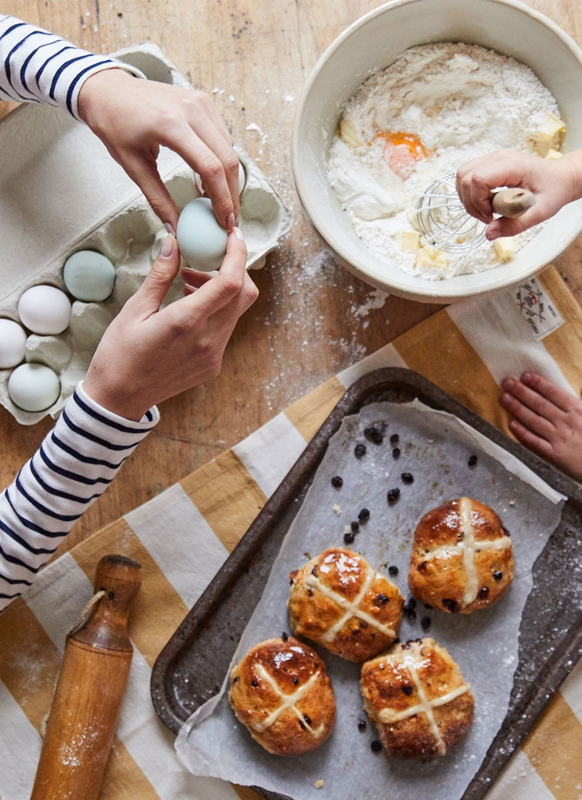 If you want to get ahead and have fresh hot cross buns to bake and enjoy on Easter morning- or any day in fact, you can put your shaped buns in the fridge for an overnight rise. Simply place them on the tray, covered in oiled cling ﬁlm as instructed and then in the morning preheat the oven and make your paste and pipe your crosses on. You can then make your glaze while the buns are baking and enjoying your ﬁrst brew of the morning-all ready for another to accompany your ﬁrst bake of the day! This recipe is crammed full of flavour and fruit. 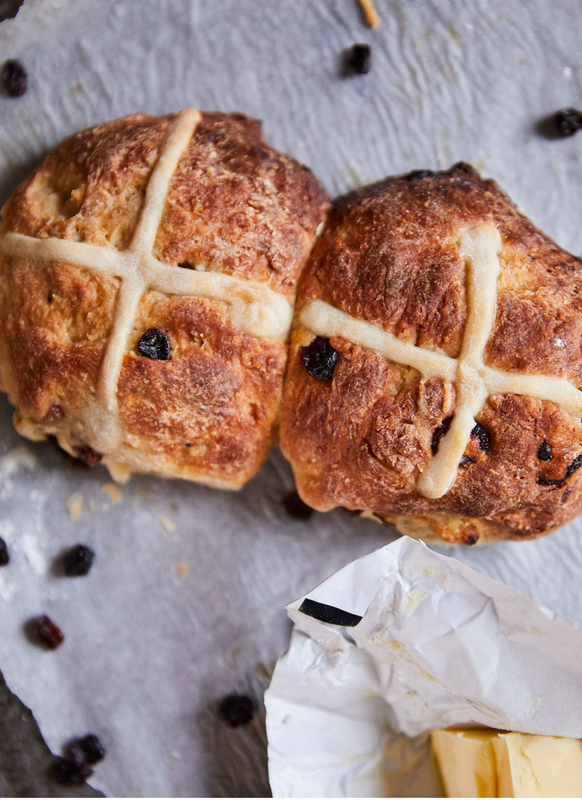 Hot cross buns are best eaten on the day of baking, or heated up in the oven/microwave or toasted the next day. 1. 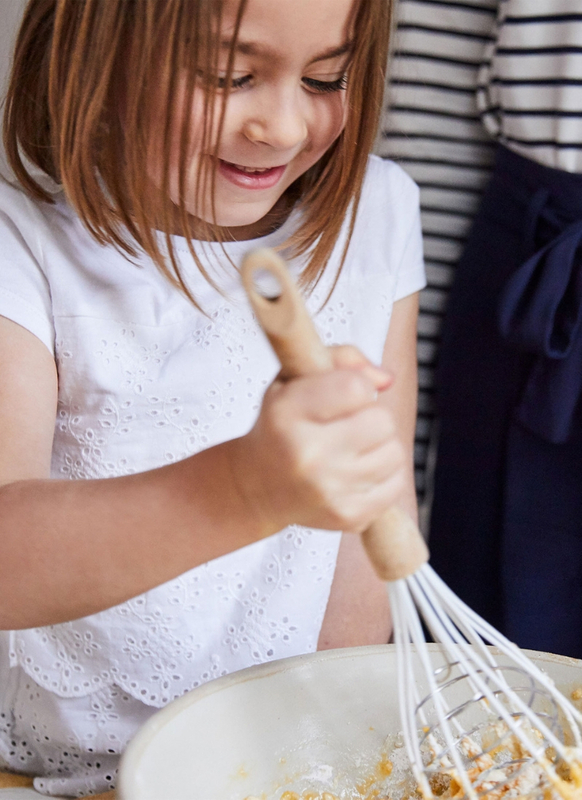 Put the flour into a large bowl/bowl of a stand mixer and make a hollow at its centre. Heat the milk and water gently in a pan, you only want to warm it slightly. Then add half of it to the hollow in the flour and sprinkle over the yeast. Stir it into the flour and liquid slightly before, setting to one side. 2. Next finely zest the orange into the pan with the remaining liquid in, together with the mixed spice, vanilla extract, salt, butter and golden syrup. Gently heat and mix together until the butter has melted and everything has combined. Remove the pan from the heat and leave to cool to hand temperature. 3. Meanwhile measure the mixed dried fruit and peel into a bowl and squeeze over the juice from the zested orange. Leave to soak and set to one side. Once the liquid in the pan has cooled down, pour this and the beaten egg into the bowl with the flour. Using a wooden spoon, mix in everything together. 4. Then lightly flour a clean work surface and your hands, before removing the dough from the bowl on to the surface and kneading for 5-10 mins until smooth and elastic. 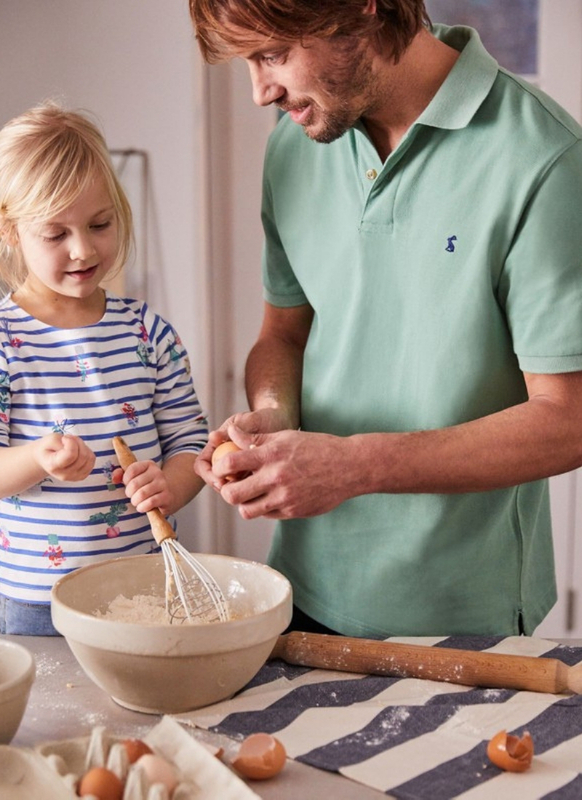 If using a stand mixer, use your dough hook and simply start the mixer off slow to mix everything together (using a spoon or spatula if necessary to mix the flour in from the sides and base of the bowl) before turning the speed up to medium/high for 5-10 minutes to create a smooth and elastic dough. If using a stand mixer use the latter part of this kneading time to drain your soaked fruit into the saucepan you warmed your infused liquid in. You don’t need to worry about rinsing it out. Simply use a sift to drain the orange soaked fruit juice into it, pressing the mixture down with the back of a spoon. Set your saucepan with the juice in it to one side, you will be using this to make your glaze with later. 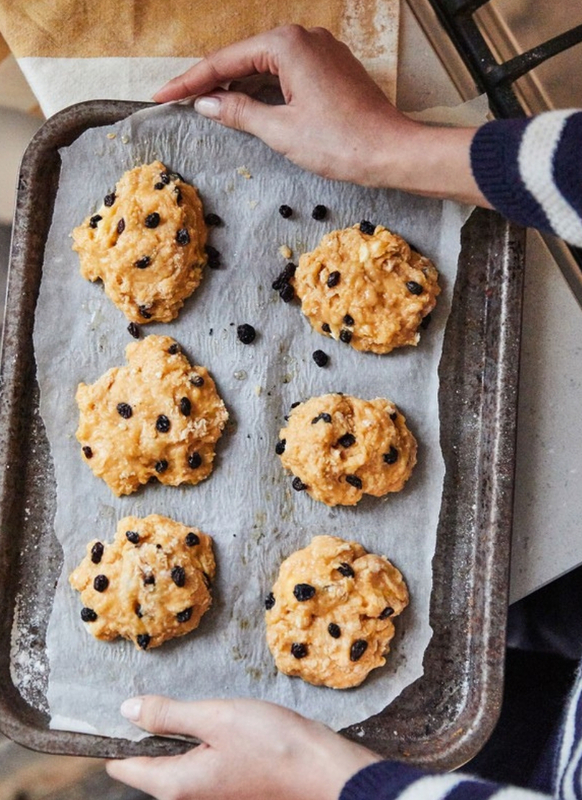 If kneading your dough entirely by hand then I’d advise zesting and juicing your orange over the dried fruit and peel prior to making your dough and then draining into the pan as soon as you’ve added the infused liquid and beaten egg to the bowl with your flour in. 5. 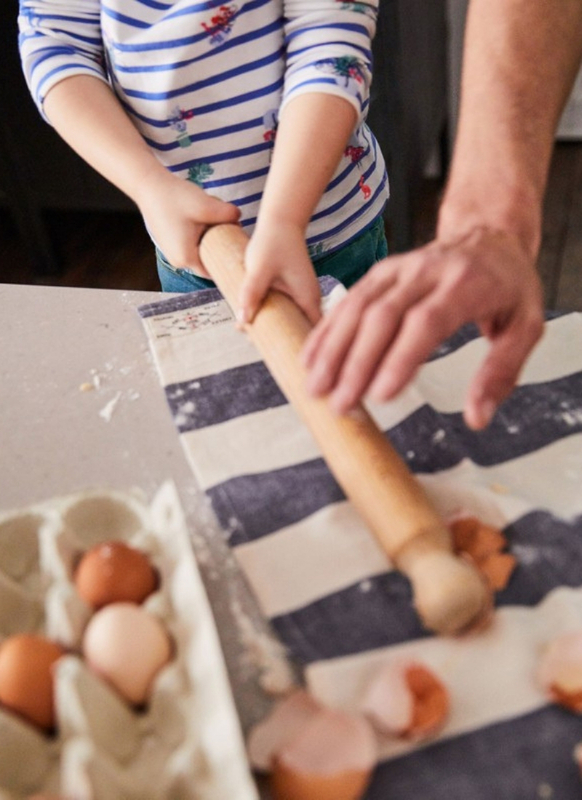 Once your dough is ready, lightly oil a clean work surface and your hands before removing your dough from the dough hook and stand mixer bowl. Press it out over your oiled work surface before scattering over the fruit. Knead it in well for a few minutes until everything is evenly distributed. Some pieces may try to escape, but just keep kneading them back in. 6. 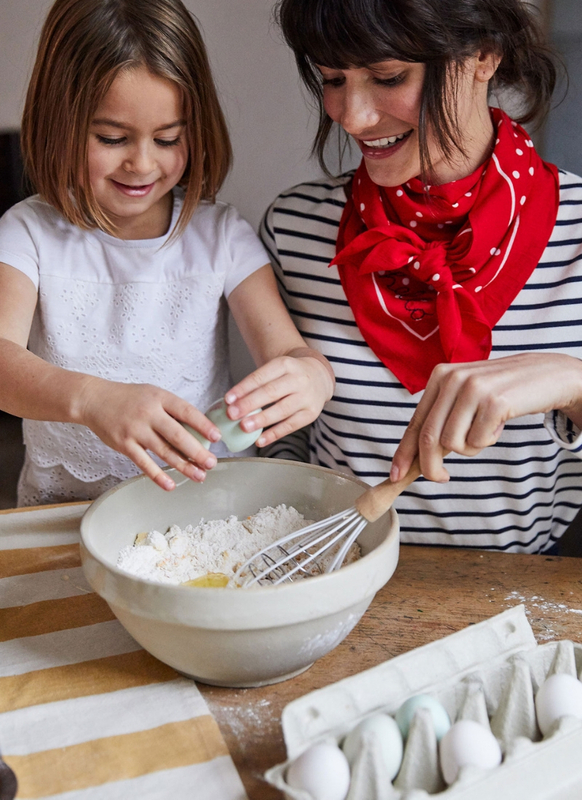 Leave your dough to one side for a minute while you wash out your bowl (the warmth from the water will also help the dough prove) Dry the bowl out before lightly greasing the inside of it and transferring your dough into it before covering with some cling film (or a plastic shower cap!) Leave to prove/rise in a warm place for about 1-1 1/2 hrs until doubled in size. 7. Lightly flour your hands and a clean work surface and gently remove your dough from the bowl on to it. Divide the dough into 15 equal pieces. Weighing your dough on to a set of digital scales and dividing the amount by 15 ensures you know the size each ball/bun needs to be. Using the scales again to check the individual weight of each. Shape and roll each piece into a tight ball, concentrating on enclosing all the fruit and making the top as smooth as you can. Arrange the buns in 5 rows of 3 on to a large baking tray lined with non stick baking parchment, relatively close to one another making sure you keep an even gap between them all. 8. Cover the tray loosely with some oiled cling film and leave to prove in a warm place for 1 hr, or until the dough has risen and almost doubled in size. When the buns are ready, the sides of each bun should be touching. 9. Preheat the oven to 220C/200C fan/gas 7. 10. Mix the flour with several tablespoons of water to make a paste for the cross. Spoon into a disposable piping bag and cut a small slit from the end. Pipe a line along each row of buns, then repeat in the other direction to create crosses. 11. Bake for approx 20 mins on the middle shelf of the oven, until a rich golden brown. 12. To make the glaze for your hot cross buns, add the syrup to the set aside pan with the orange juice in. Bring up to the boil and then simmer together gently to create a thin syrup. Brush the syrup over the buns while they are hot, then leave to cool. I love the addition of golden raisins for both their flavour and colour-highlighting the golden glow associated with the iconic hot toddy drink. I get mine from Holland and Barrett, but If you do have difficulty tracking them down, feel free to used mixed dried fruit instead. 2. Next finely zest the lemon into the pan with the remaining liquid in, together with the cinnamon, vanilla extract, salt, butter and honey. Gently heat and mix together until the butter has melted and everything has combined. Remove the pan from the heat and leave to cool to hand temperature. 3. Meanwhile measure the golden raisins and peel into a bowl and squeeze over the juice from the zested lemon and whisky. Leave to soak and set to one side. Once the liquid in the pan has cooled down, pour this and the beaten egg into the bowl with the flour. Using a wooden spoon, mix in everything together. 5. 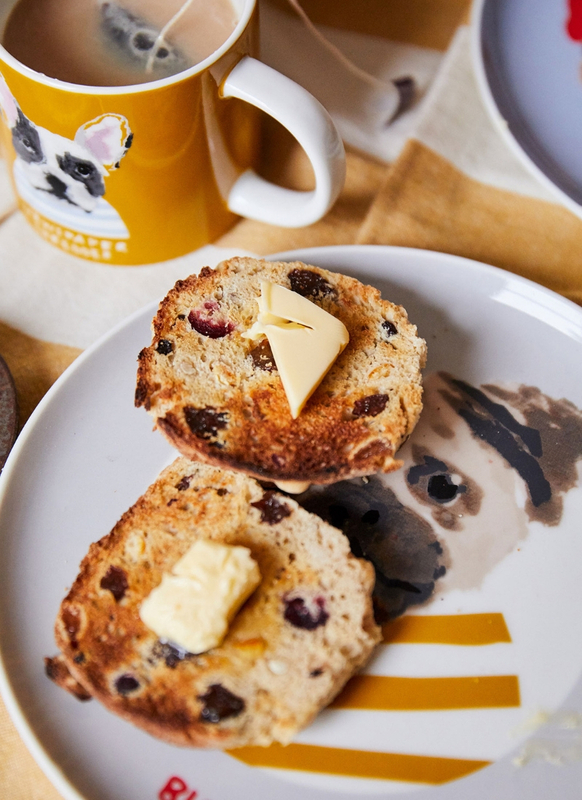 To make the glaze for your hot cross buns, add the honey to the set aside pan with the lemon juice and whisky in. Bring up to the boil and then simmer together gently to create a thin syrup. Brush the syrup over the buns while they are hot, then leave to cool. 2. Next finely zest the orange into the pan with the remaining liquid in, together with the ground ginger, vanilla extract, salt, butter and stem ginger syrup. Gently heat and mix together until the butter has melted and everything has combined. Remove the pan from the heat and leave to cool to hand temperature. 3. Once the liquid in the pan has cooled down, pour this and the beaten egg into the bowl with the flour. Using a wooden spoon, mix in everything together. 4. Repeat steps 4-12 above, scattering over the chocolate chips and stem ginger chopped into small pieces instead of dried fruit. Hot cross buns would have to be up there with cinnamon buns, as one of my favourite bakes.